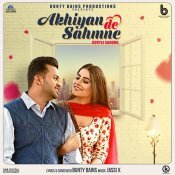 Bunty Bains Productions proudly presents the brand new single released by Gurtej Sandhu entitled “Akhiyan De Sahmne” featuring Jassi X! ARE YOU Gurtej Sandhu? Contact us to get a featured artist profile page.